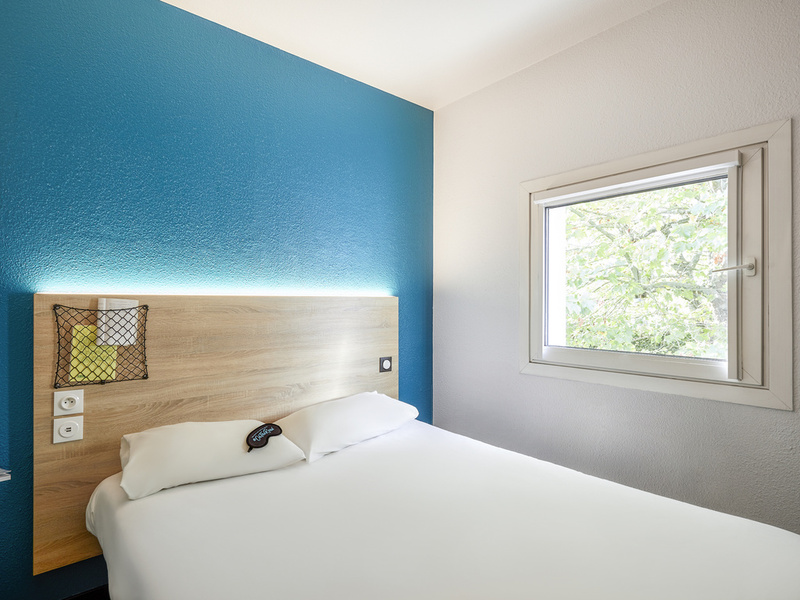 Our new generation low-cost hotelF1 offers DUO and TRIO rooms at a single price for up to three people, with free WIFI in all rooms and parking. Spacious bathroom facilities close to the air-conditioned rooms and a flat-screen TV with TNT. All-you-can-eat breakfast buffet is served in the dining room. Our new "ontheroad" concept is here! Come and discover our renovated hotel.